A virtual mailbox provides an online portal where users can view their scanned mail. Virtual mailboxes allow users to forward their mail to another address for it to be scanned with document capture software and uploaded to an application where they can view it anywhere. 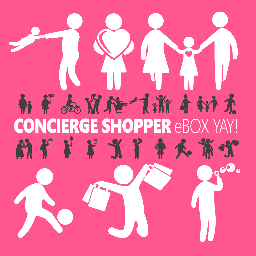 Both consumer-focused and business-geared virtual mailboxes are available. These solutions are popular among frequent travelers who still want access to their mail overseas and for businesses looking to declutter their mailbox while still archiving their mail. Some virtual mailboxes will even deposit delivered checks if given the proper clearance. For businesses, users are given either a shared login or individual logins where they can check company mail. 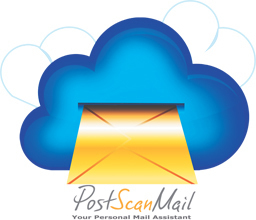 With a one month free trial of PostScan Mail service you would be able to view and manage your postal mail online. iPostal1 Digital Mailbox allows users to manage and forward postal mail, packages and more from their smartphone, tablet, or online. Earth Class Office Mail Automation takes all your business mail, secures it, digitizes it, then analyzes and routes it to the right place. A check to your bank, a legal notice to your attorney, and a tax document to your accountant. Everything you do for your business has moved to the digital world in some way. It really is crazy that so many important documents still travel by a method that hasn’t changed much since the days it was delivered by a messenger on a horse. We’re focused on building a better back-office, making it easier to collaborate, getting your money to your bank faster, and taking action on important mail easier so that you can focus on what matters most - growing your business. Domestic & International Mail Forwarding including document scanning and our World-class parcel forwarding. Simply the Best! Anytime Mailbox is a virtual mailbox and mail forwarding service. Mailbox Forwarding offers a new, more convenient way to handle your mail. With our remote mailbox service, you can keep in contact with your paper mail wherever you are. PhysicalAddress.com has a single mission: To provide our clients with the most advanced customer-centric virtual mail and business address solution available. Traveling Mailbox offers mail scanning, virtual mailbox & mail forwarding services to view and manage mail online anywhere. The Ultimate Tool to Manage Your Mail. Online. Anytime. Anywhere. Virtual Post Mail is an online postal mailbox service. Hi there! Can I help you find the best Virtual Mailbox solutions?